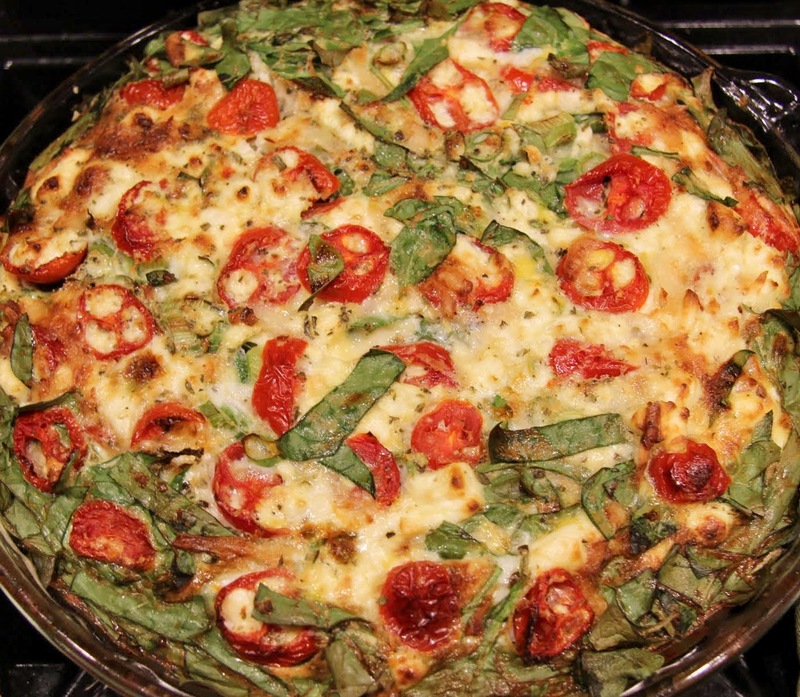 Okay, so quiche isn’t very Valentine-y or Mardi Gras-y or whatever else you might be celebrating this week but it’s what I’ve got. At least it’s very brunch-y and Valentine’s Day is on a Sunday this year. Also, Mardi Gras is actually over and, for some, it’s the first day of lent which means there are only 46 days to plan Easter brunch. On second thought, this should be quite a timely post. Good for me. 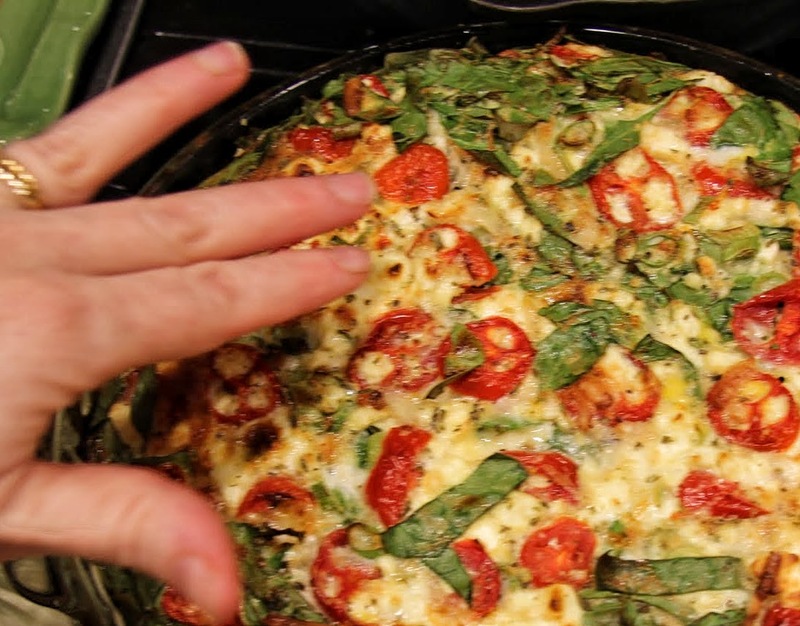 I really don’t know why I don’t make some version of this quiche more often, like weekly. 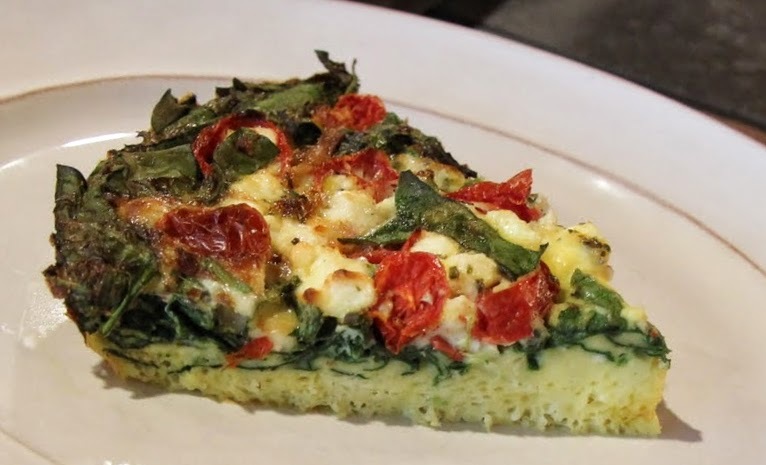 Along with being great for a group, it’s also a perfect breakfast or lunch for one on a busy weekday. I made this on a Sunday evening while I was already in the kitchen cooking something else for dinner. After it cooled I covered it, put it in the fridge and ate it the next few days. 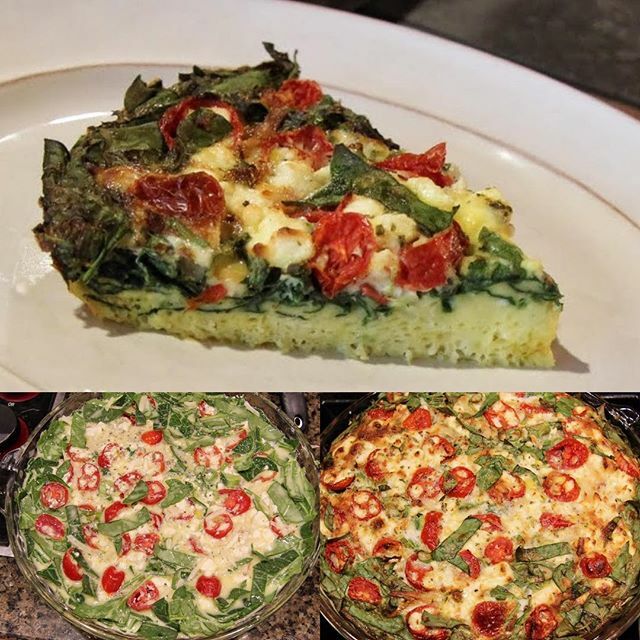 It calls for more eggs, no heavy cream and a little less cheese than many recipes you’ll find and it’s packed with veggies so it’s a perfect one dish meal! 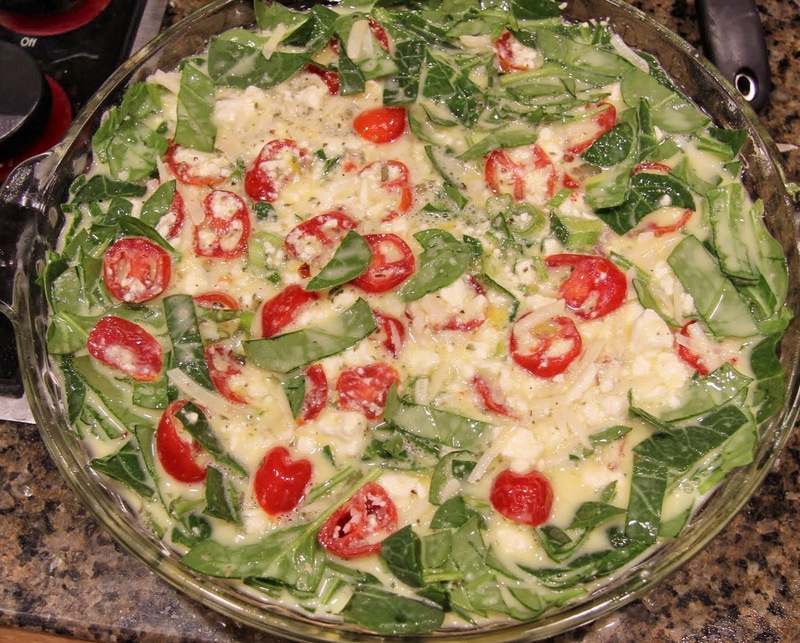 Also, the great thing about quiche is you can feel free to mix it up with different veggies, cheeses, and herbs. Of course, if you want a crust, by all means, add one. Frankly, I find it an unnecessary hassle and this pleases the part of my personality that decides to go low carb from time to time. Not today though. Too many caramel-filled milk chocolate hearts in my house. 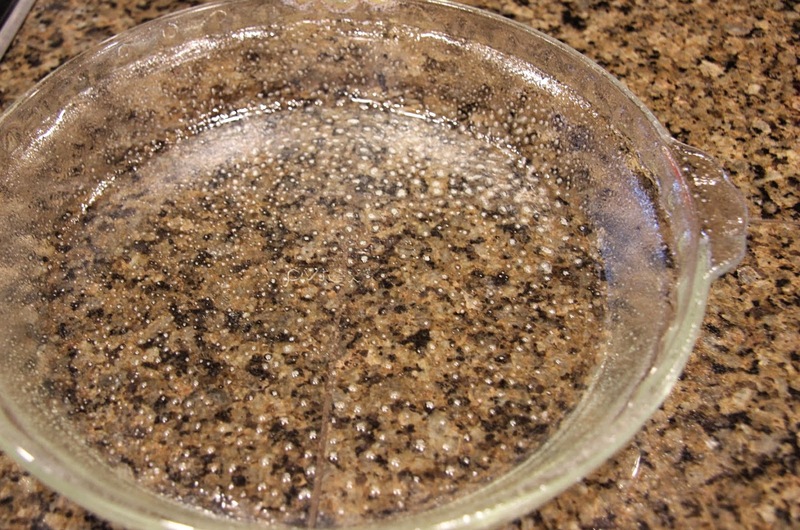 Coat 9-inch pie plate with cooking spray, oil or butter. 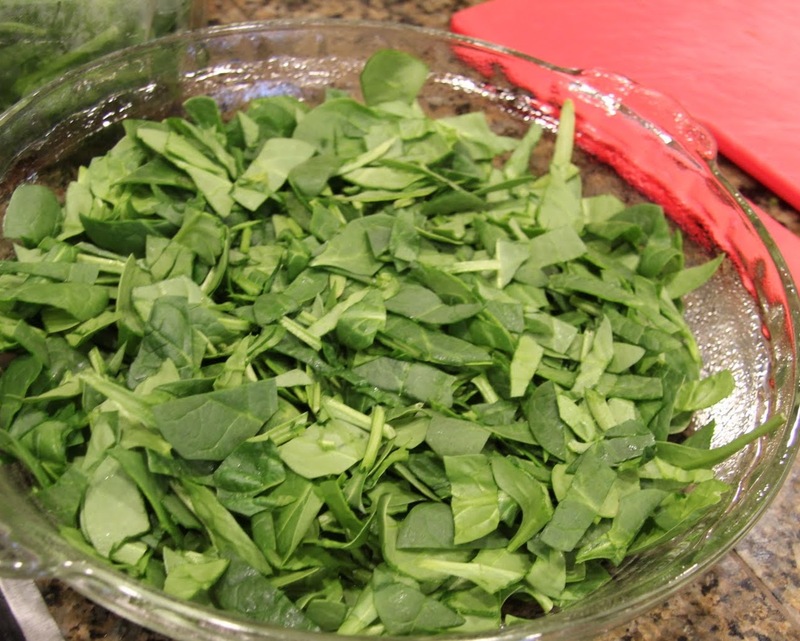 Chop baby spinach and lay it in the bottom of the pie plate. 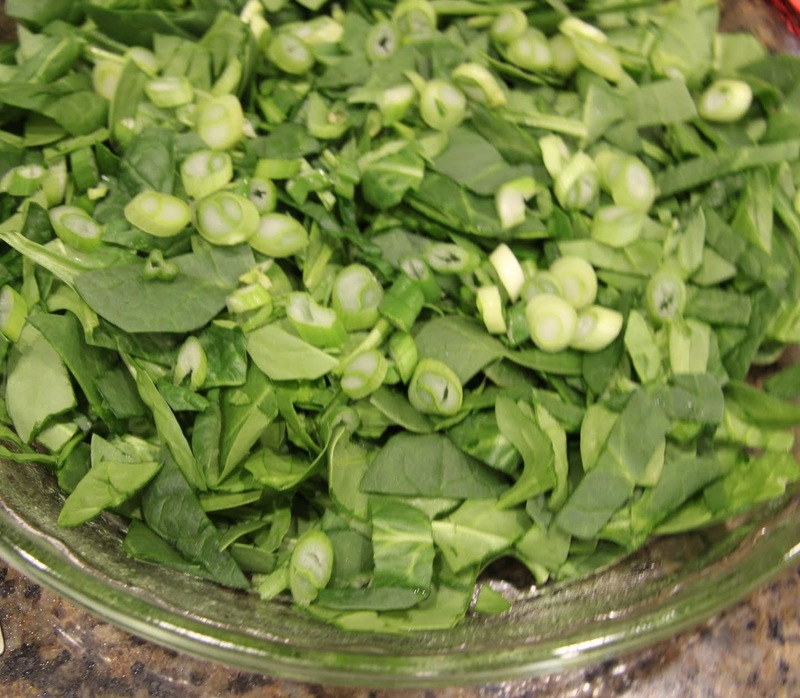 Thinly slice green onions and place atop the spinach. 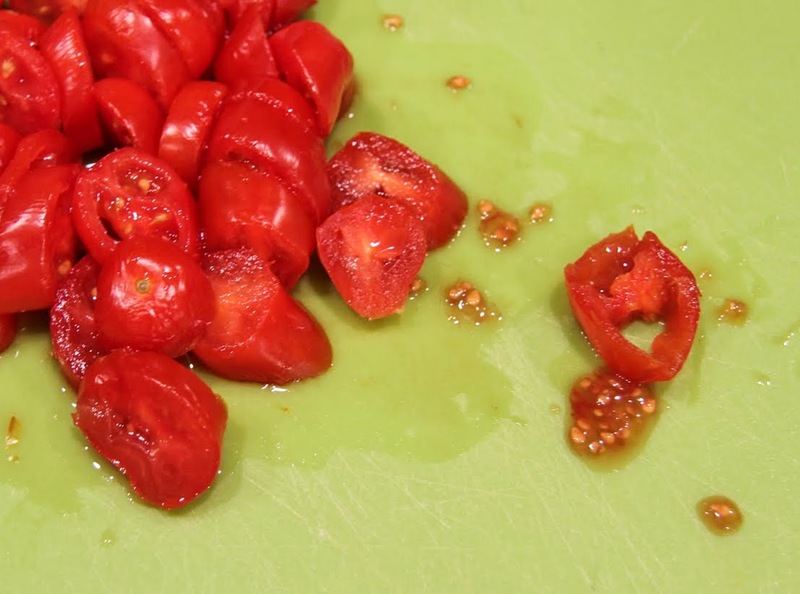 Slice grape tomatoes in three or four pieces and remove the seeds and pulp as they tend to make thing soggy. 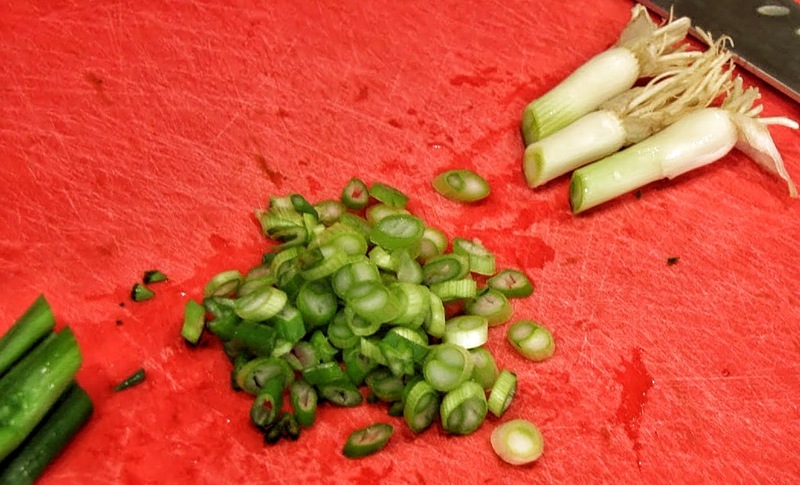 Arrange tomato slices evenly over the spinach and green onions. 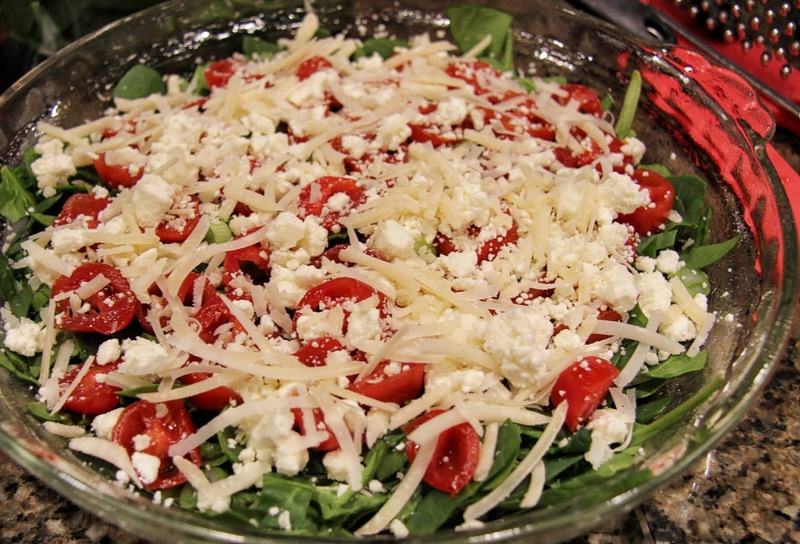 Evenly arrange the crumbled feta and grated parmesan on top. 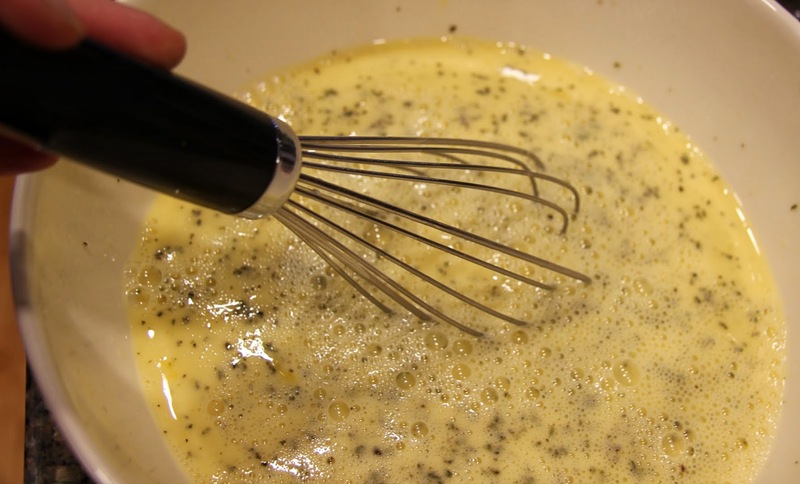 Crack eggs into a large mixing bowl. Grate in some garlic – if it’s a large clove I’d only use half. 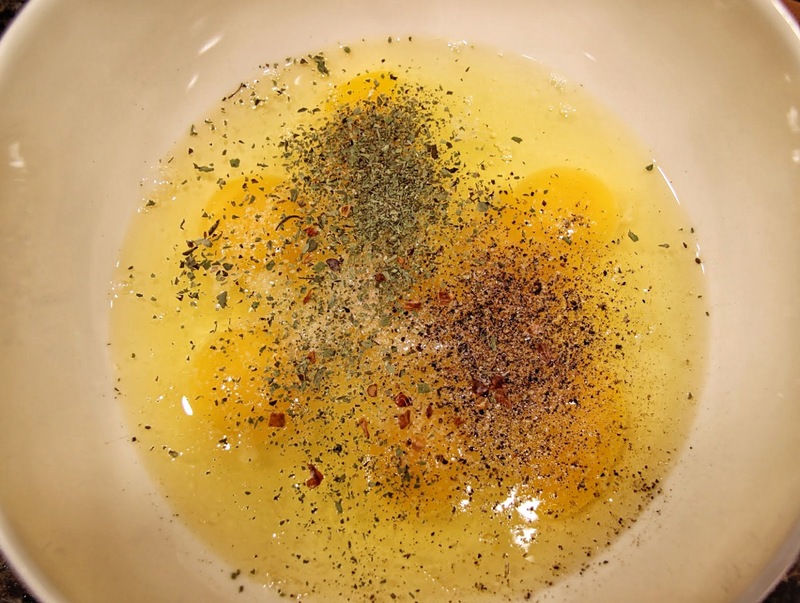 Add oregano, thyme, salt, red pepper flakes, and black pepper and whisk until the eggs, garlic, and spices are fully combined. 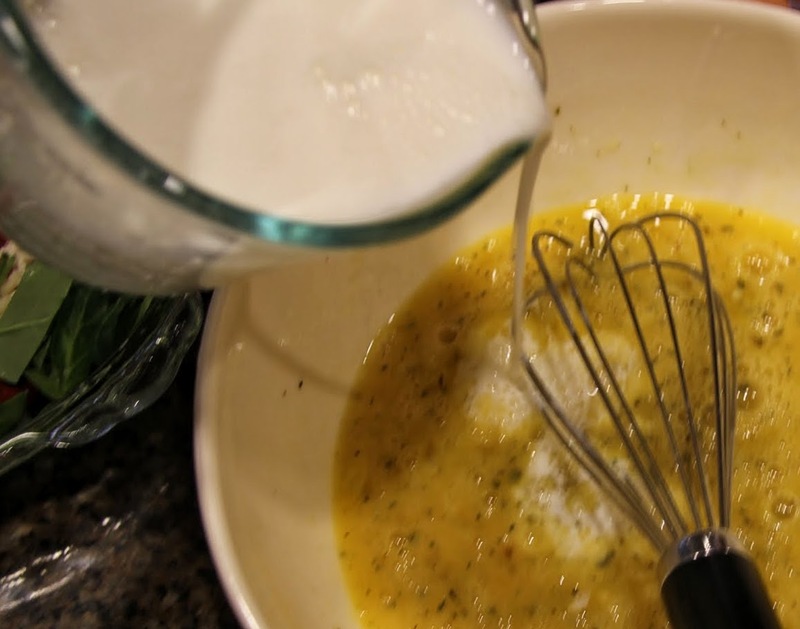 Whisk in milk and stir until fully combined. 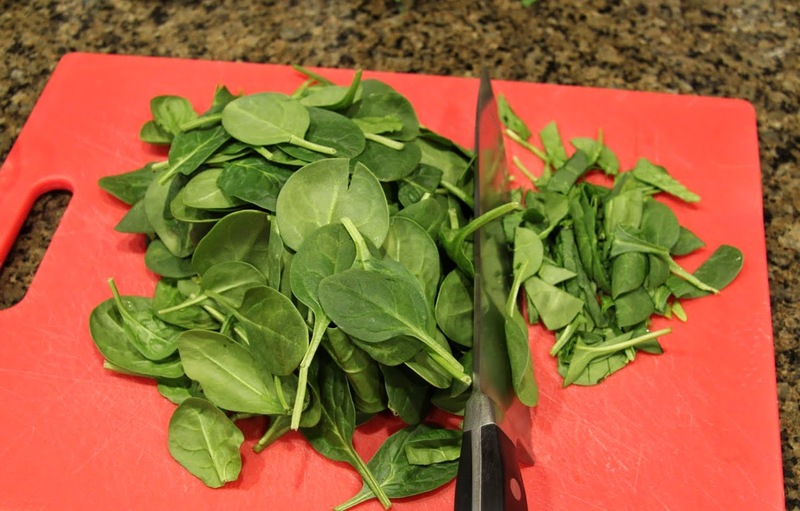 Pour egg mixture over vegetables and cheese, press down on the spinach if necessary to make sure it’s mostly covered otherwise it will scorch. It will shrink quite a bit when it’s baked. Bake for 45 minutes to 1 hour. 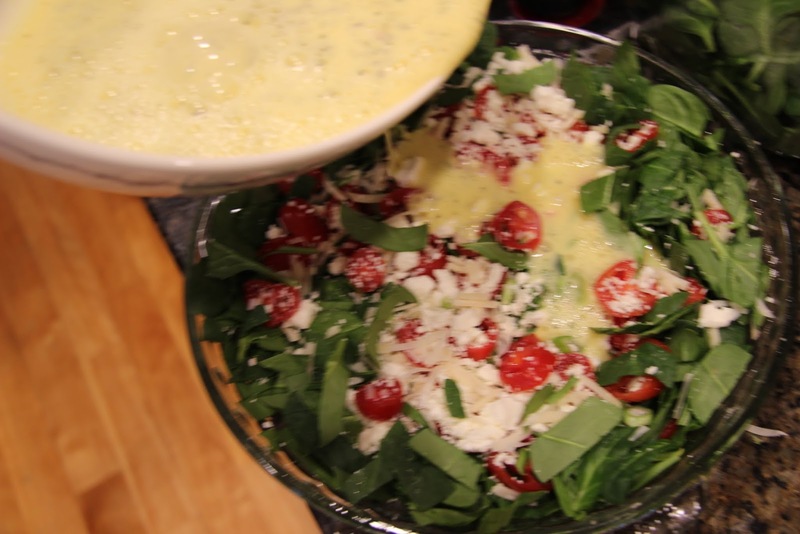 The quiche should feel firm in the center when pressed. 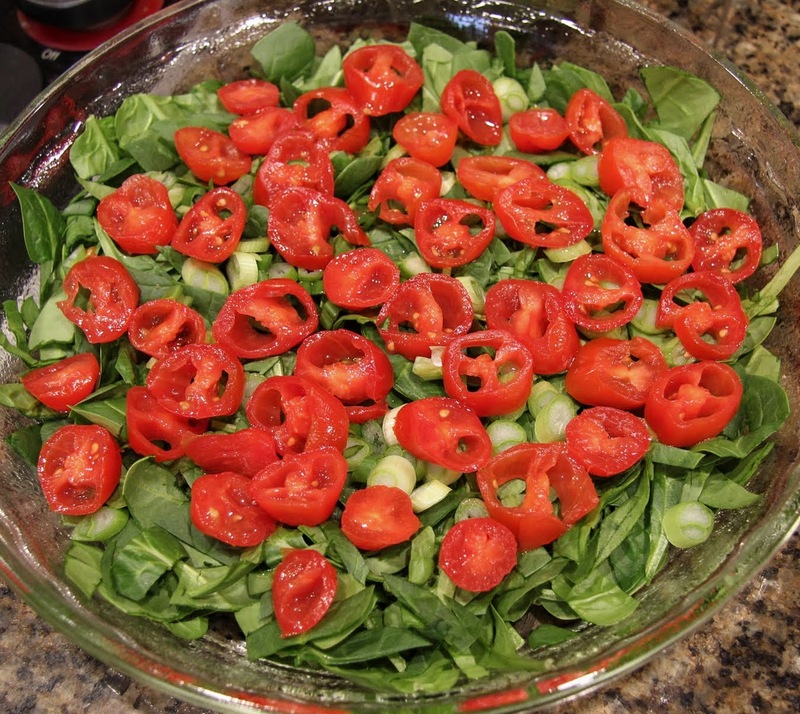 Allow it to cool for about 20 minutes before serving or refrigerating.